Miss Peru 2010 Alexandra Liao is the official representative of the South American country of Peru at the Miss World 2010 pageant. The 2010 Miss World pageant will take place on October 30, in Sanya, China. The 19 year-old beauty has also been awarded the ‘Miss Personal Training’ and the ‘Best Hair’ awards during the Miss Peru pageant this year. 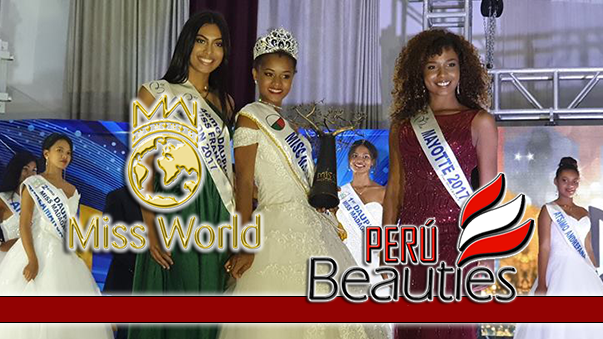 The Miss World pageant is one of the oldest beauty contests on the international circuit and is considered to be one of the very prestigious ones too in the glamour world. The pageant was initiated in the year 1951 by Eric Morley in the UK. Officially, the Miss World winner has to live in London during her one year reign, so that she can attend various causes representing Miss World Organization. Miss Gibraltar, Kaiane Aldorino was crowned as Miss World in the year 2009. Kaiane beat Miss South Africa, Miss Mexico and Miss France to win the coveted title and the rest three ladies were declared as the runners-up at the event. wuaaaooo! la miss peru super linda una de mis favoritas para coronarse como miss world 2010...suerte a todas las latinoamericanas y q gane la mejor. ohhh mis peru alexandra liao es una chica muy fuerte para mis world 2010 espetacular. MIS WORLD 2010 MIS PERU ALEXANDRA LIAO LA CORONA VUELVE CON ALEXANDRA A LATINOAMERICA. esa es la lista oficial para mañana para mis world 2010 exitos a todas estas chicas especailmenta a mis peru alaxandra liao. TOKIO Y TOCACHE TE APOYAMOS PERUUU... ALEXANDRA LIAO MAÑANA SE LUCIRA EN LAS PASARELAS DE MIS WORLD 2010. MAÑANA ES EL GRAN DIA PARA PERU Y PARA TODO EL MUNDO LA QUE GANARA ES MIS PERU ALEXANDRA LIAO LLEGARA MUY LEJOS ES PRECIOSA Y MMUY PREPRADAD PARA EL CERTAMEN. MIS WORLD 2010 ALEXANDRA LIAO. te deseamos muchos exitos en china ps alexandra liao y con la gacia de dios tu llegaras ser una triufadora en mis world 2010...ya es hora k peru obtenga otra corona de mis world. saben si lo pasaran por algun canal¿?¿?¿ pleaseee informacionnn!!! 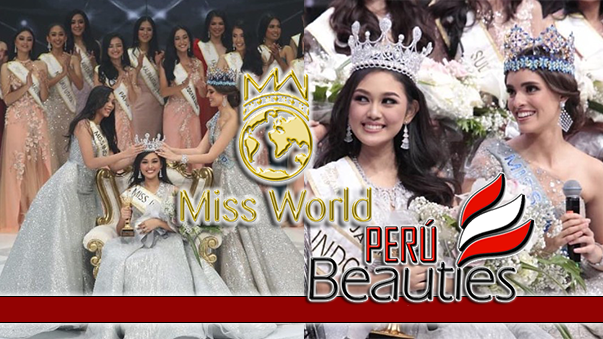 morley dara el ultimo benedicto final la ganadora es peruuuuuuuuuuuu mis world 2010 alexandra liao la nueva soberana.............solo nos queda horas...........""""""""""""""""
mi gran favorita es mis peru inpacta esta niña en las pasarelas...mis world 2010 peru.